When German missionary pastor, Ernst Christoffel, arrived in Turkey in 1908, one particular group of people grabbed his heart: children who couldn’t see, who couldn’t walk, who couldn’t hear, begging in the streets. He called them “Nobody’s children” because no one was caring for them. With the support of a handful of friends, Pastor Christoffel set up a home in Malatia, Turkey, providing care and education for blind and otherwise disabled children and orphans. In 1919, during the First World War, Christoffel’s work was disrupted when, as a German, he was expelled from Turkey. He later returned, but the house in Malatia was lost and his attempts to set up in Constantinople (later Istanbul) were thwarted by the authorities. 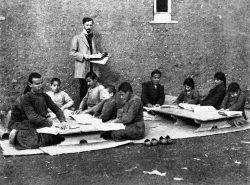 Undaunted, Pastor Christoffel moved to Iran and, in 1925 and 1928, set up two homes for blind and otherwise disabled young people in Tabriz and Isfahan. But once again, war disrupted his mission. During the Second World War, Christoffel refused to leave his charges on their own. He was arrested and spent three years behind barbed wire, but his will remained unbroken. Christoffel returned to Isfahan in 1951. Despite the fact that he was ailing and 70 years of age, he went on helping people who were disabled, poor, and abandoned in the name of Jesus Christ. Pastor Christoffel died on 23 April 1955. His tombstone in Isfahan names him the "Father of the Blind, Deaf-Mute, and Orphans". After his death, Christoffel’s supporters were determined to continue his work. CBM expanded over the coming decades from the Middle East into Asia, Africa and Latin America. Our work broadened from education and rehabilitation into medical treatment, with the first CBM cataract surgery in 1966, and treatment for hearing and physical disabilities. In 1996, CBM UK was established to inspire people in the UK to be part of CBM's global mission. By 2008, when CBM celebrated 100 years of service, we had grown into a global organisation, recognised by the World Health Organisation and changing millions of lives each year - but still underpinned by the values of love and service that inspired Ernst Christoffel in 1908. From its humble beginnings with the work of Pastor Christoffel, CBM has grown into one of the world’s leading disability and development organisations, working across the developing world and supporting people with all types of disability. In 2007, the international CBM movement changed its name from 'Christian Blind Mission' to 'CBM' to reflect the fact that our work extends far beyond blindness. 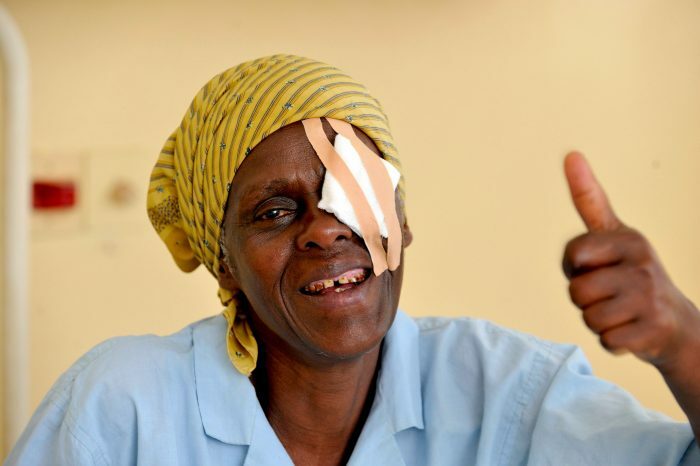 In 2010, we celebrated our 10 millionth cataract operation, in Tanzania – 34 years after our first surgery in Afghanistan. While supporting health and rehabilitation services remains a key area of our work, in recent years CBM has also recognised the need to go beyond the provision of medical services to promote the inclusion of people with disabilities in all aspects of society, and adopting a human-rights based approach. CBM has also been instrumental in promoting disability-inclusive development and played an important role in ensuring that disability was included in the Sustainable Development Goals agreed in 2015. Read more about the key principles of our approach to disability and international development. But in spite of the changes over the past century, CBM remains driven by Ernst Christoffel’s passion for putting Jesus’ love into action and for providing hope and opportunity to blind and disabled people. Even now, over a century after Pastor Christoffel was shocked at the lack of provision for blind and disabled children in Turkey, people with disabilities are often the world’s “forgotten children” – and so his work continues.